We are happy to announce the 6.2 Final release of OptaPlanner. OptaPlanner is a lightweight, embeddable planning engine written in Java™ to solve constraint satisfaction problems efficiently. It is released alongside the Drools rule engine and the jBPM workflow engine. 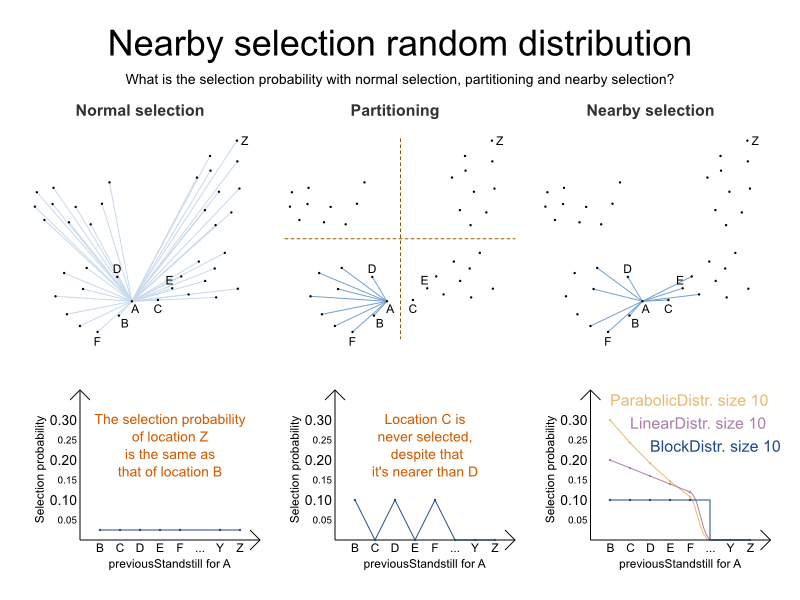 Several nearby selection probability distributions are supported: block distribution, linear distribution, parabolic distribution and beta distribution. TailChainSwapMove is a new move type for chained variables. It’s a subset of SubchainChangeMove and SubchainSwapMove, but it’s generally more efficient, especially for time windowed cases. In our benchmarks, a union of ChangeMove, SwapMove and TailChainSwapMove (using nearby selection on all 3) performed best. VRP with a @InverseRelationShadowVariable is now more efficient. In some cases, it’s up to 32% faster. 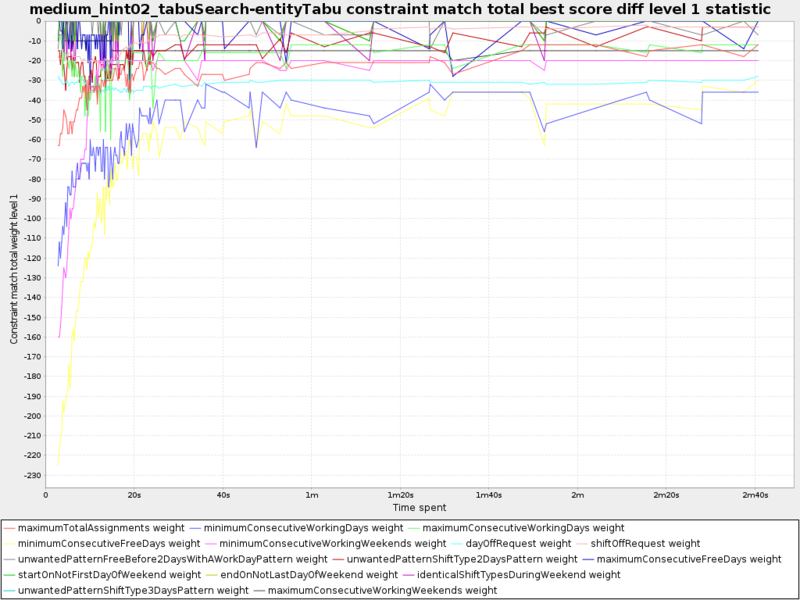 Strategic Oscillation Tabu Search is often an improvement over normal Tabu Search. Instead of picking the accepted move with the highest score, it employs a different mechanism: If there’s an improving move, it picks it. If there’s no improving move however, it prefers moves which improve a softer score level, over moves which break a harder score level less. 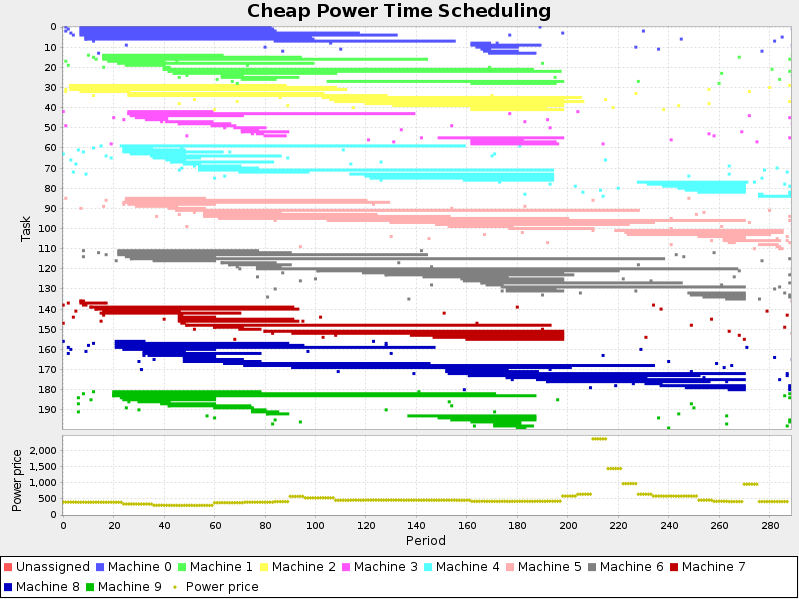 Schedule all tasks in time and on a machine to minimize the power cost. Each machine must have enough hardware to run all of its tasks. Each task and machine consumes power. The power price differs over time. Based on contributions by Lukáš Petrovický. These new statistics visualize how the individual constraint types change over time. This gives a better insight as to which constraints impact the score the most. Construction Heuristics: new pick early type: FIRST_FEASIBLE_SCORE which is useful for scaling. Benchmarker: logarithmic scale for Problem scale axis when appropriate. Contributed by Ondrej Skopek. 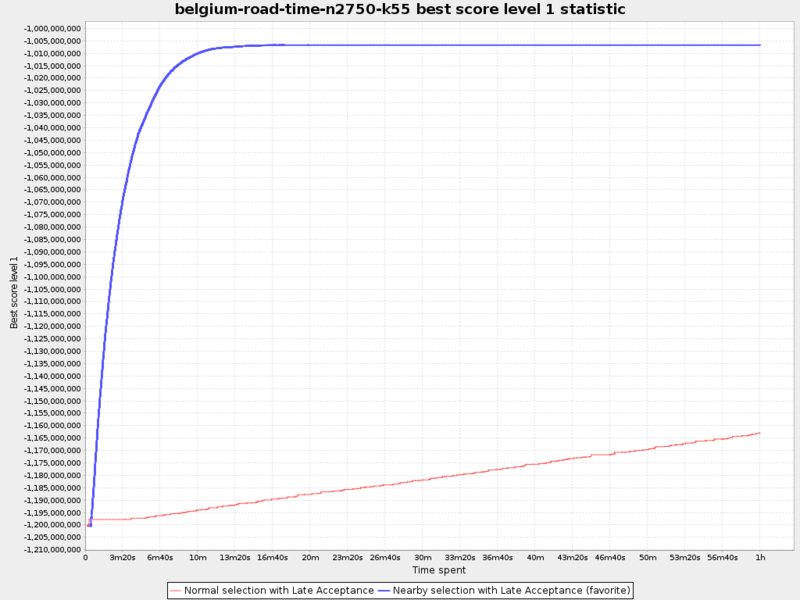 BendableLongScore: Bendable score with long types. Contributed by Dieter De Paepe. The best and easiest way to upgrade to this new version of OptaPlanner is by following the upgrade recipe. Read the previous release notes to learn about the new and noteworthy in previous releases.